The men’s basketball team played their last game after a long and tough season. The Tars fell to the Barry Buccaneers in the semifinals of the Sunshine State Conference (SSC) tournament last weekend. Barry University was the top seeded team in the conference. The team fought hard to keep pace with their tough opponent by locking in on the defensive end of the floor. The Tars forced 23 turnovers, but could not make use of them offensively. They scored just 20 points off of those turnovers. Meanwhile, the Barry Buccaneers forced just 13 turnovers out of the Tars but converted the turnovers into 24 points. Combined with the poor shooting performance from Rollins, Barry pulled away in the second half for a 77 to 62 victory. The game was the last for many seniors on the Rollins team, including Deion Clark, Jack Fleming, Jeff Merton, and Sam Philpott. Looking back at the season leading up to this point, the Tars started nationally ranked as 13th after their Cinderella run to the Elite Eight of the NCAA Tournament last spring. 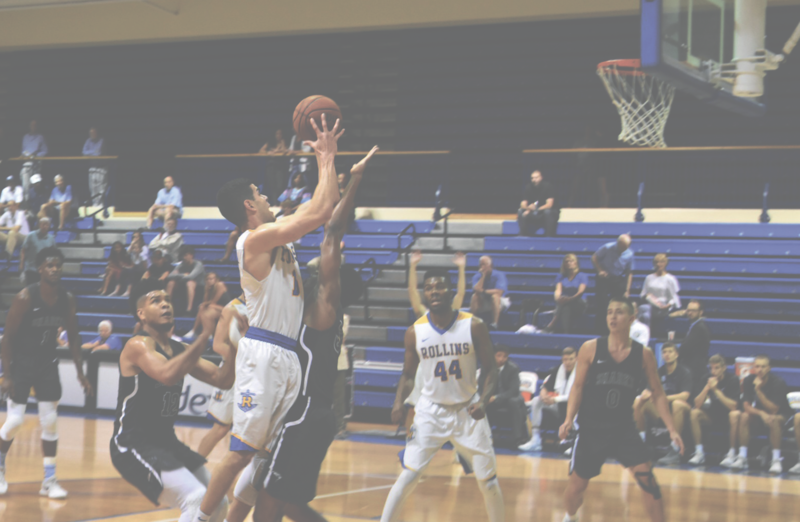 An article posted in Oct. 2017 on the Rollins Sports website stated that the Tars were ranked 13th in the National Association of Basketball Coaches Division II Preseason Poll. However, the Tars did not live up to their preseason ranking as they struggled to maintain consistency throughout the season. Initially, injuries plagued the Tars throughout the year, but two winning streaks of five and six games kept the team’s hopes alive. After critical conference losses, the Tars were forced to rely on the conference tournament to receive a bid to the national tournament. With a conference title, the Tars would have received an automatic bid. The first game of the conference tournament was successful. The Tars faced off against the Nova Southeastern Sharks, who proved to be a stubborn opponent. The Tars led by eight at the half, but a strong start by the Sharks in the second half had the Tars down by eight with nine minutes left in the game. The teams tussled for control for the entire rest of the match up, yet the Tars sealed the win after a steal and free throw by forward Jeffery Merton ‘18 and a pair of free throws from guard Connor McKim ‘20 in the final moments of the game. The Tars advanced to the semifinals with a 78-75 win. Despite the loss of their final game, Philpott was optimistic about the potential for next year’s team, even with so many senior leaders graduating. With key contributors like Connor McKim ‘20, Eric Castaneda ‘18, and Jakobi Bonner ‘20 returning, the Tars do have a lot of upside heading into next year’s season. With Philpott’s confidence in the team that he is leaving behind, it is fair to assume that the Tars are poised to be a contender again come next season.